Back when I first started writing on this blog, back when it was still called “The Asian Cafe”, around three to four years ago, I was into Asian dramas- specifically Japanese dramas and Korean dramas. As time went by, and as my jobs changed, I found myself having very little time to catch up on Asian dramas, especially in a world chock full with shows to watch. Just recently, however, due to my sister’s and her friend’s insistence, I ended up watching the 2015 Korean drama “She Was Pretty”, with my sister. At first, based on the title, and the basic premise, I thought that it would be just another feel good romantic comedy. However, I should have remembered that even the most basic of premises and a silly title doesn’t make the drama, and I was proved wrong each time I watched an episode. It tells the story of a woman in her late twenties, Kim Hye Jin (Hwang Jung-Eum), who asked her pretty best friend, Min Ha Ri (Go Joon-Hee), to go as her after Hye Jin’s childhood sweetheart, Ji Seong Jun (Park Seo-Joon), returns to Korea. However, in a stroke of luck that only exists in Asian dramas, Hye Jin ends up working in the editorial department of Most Magazine, where Seong Jun is the Deputy Editor-in-Chief. Hijinks then ensue as Hye Jin tries to keep her identity hidden from Seong Jun, especially as she is the opposite of what he expects her to be- a successful and pretty woman. 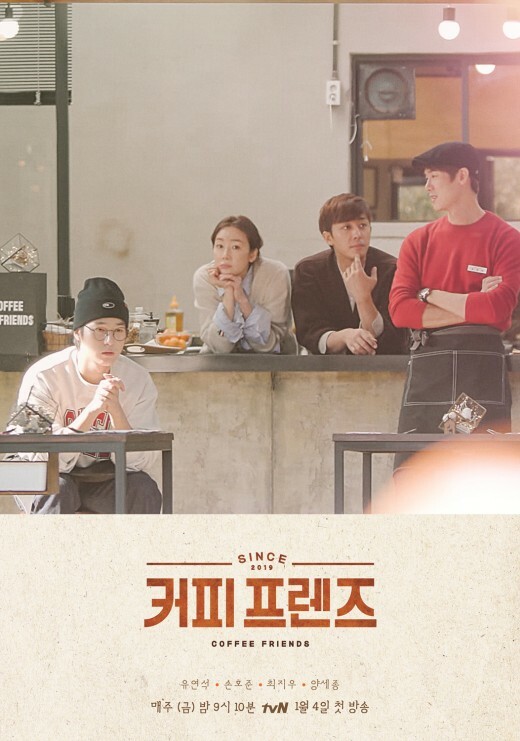 The sixteen episode drama is so much more than its basic premise,as each of the main characters goes on their own unexpected journey, from Hye Jin, to Seong Jun, and to the two other leads, Ha Ri and the secondary male lead, Kim Shin Hyuk (Super Junior’s Choi Siwon). Aside from it being a romantic-comedy, this drama, at its heart, a drama about friendship; and a drama which, although it has the usual clichés, somehow defies convention, making it a breath of fresh air. All in all, this drama is one that I definitely recommend, as it is full of life lessons that one can apply to themselves as well. For me, watching this drama came at a perfect time, as it honestly did get me to think about my own dreams in life and about how I view myself. Now, from here on out, please be warned, as I will be delving deep into spoiler territory. WARNING: SPOILERS ABOUND FROM HERE! As I said earlier, this drama is very interesting because of the journeys that each four characters takes, and how their relationships with others also evolve. Another reason why I love this drama is that it presented a very mature romance, once the main leads get there, and insights into life itself. Hye Jin, at the beginning, started out as someone who had forgotten how to dream, looked down on trying to be presentable, and considered herself as a “supporting character”. By the end of the series, she discovered that looking presentable and exerting some effort to learn a whole new world as she was working in the fashion industry did not take away any of her awesome qualities, and in fact, the other three main characters liked her even before she started looking a little bit more presentable. She also allowed herself to dream again. Her best friend, Ha Ri, started with everything, and ended up with a conscious decision to make more of an effort to achieve her own goals and dreams by herself, instead of relying on her father’s money. It took a lot of courage to do that, especially as she is used to having it easy. The friendship between Ha Ri and Hye Jin trumps all other friendships that I have ever seen in fiction as the girls complemented each other well, and weren’t afraid to give some tough love to each other if needed. However, they are also patient and kind with each other, and accepting of each other’s faults and flaws. Also, they managed to work out the kinks of their friendship with each other, and were patient enough to allow the other to grow and to make some realizations on their own. Seong Jun, began as a man chasing a memory, to realizing that sometimes, the things that we want are just honestly right under our very noses. I also loved how he did not seem disappointed when he realized that Hye Jin was who he was looking for, and how he never pushed her and allowed her to figure out some important realizations by herself before he said anything. I also loved how Renoir’s “Dance in the Country” had a role to play, both in the narrative, and as a metaphor. In the narrative, a young Hye Jin and Seong Joon completed a puzzle version of the painting, and they noticed how there was a girl in the background, staring, yet hidden, at the happy couple in the foreground. When young Seong Joon leaves for the US, he gave her the piece of the puzzle of the “hidden woman”, hoping to find her again so that they could complete the puzzle together. What is interesting is that at certain points, Hye Jin identified with the hidden or peeping woman, as she claimed she was a secondary character, and later on became the protagonist of her own story. This drama resonated with me as I also experienced the same journey that Hye Jin had, with realizing that trying to look good and presentable did not mean that I had succumbed into a vain and shallow human being, and that that would not really change who you are. It also reminded me that sometimes, I have to let go of some pre-conceived notions that I have about certain things, because if you never try something out or go for a particular dream that you have, then nothing will ever get accomplished. In the end, this is a drama about growth, and we do see that happen to our four main characters.